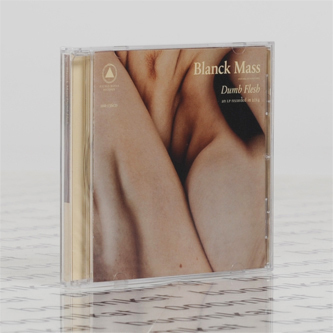 'Dumb Flesh' is the ecstatic new album from F**k Buttons' Benjamin Power in Blanck Mass mode. His 2nd album in this guise after 2011's eponymous debut, it retains much of the fizzy noise harmonics and thrills of his duo with Andrew Hung, but channels a more direct dancefloor and pop attitude, 'Dumb Flesh' isn't quite techno, noise or post-rock, but rather a distillation of all their affective memes boiled up, reduced and smeared across these eight tracks. The result: a viscous goo of legal-high potency, conducting strangely heart-racing arrangements at slouchy tempo in 'Atrophies' or going for the jugular with the rumbling lurch of 'Dead Format' or 'floor-baiting 'Cruel Sport', or taking the megaplex to the discotheque with the cinematic scope of 'Detritus', before collapsing it all across the ambient D-side, exclusive to the vinyl edition.